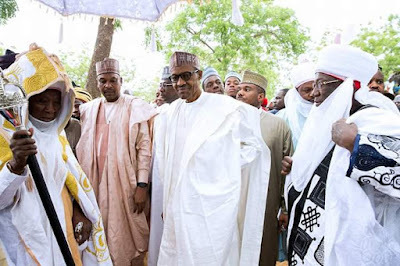 The Federal Government will solve the Niger Delta militancy, President Muhammadu Buhari assured yesterday. Besides, he assured Nigerians that the patriotic ones should not have any fears about the fight against corruption because his administration will ensure justice and fairness to all. The President, according to a statement by Senior Special Assistant (Media and Publicity) Garba Shehu, said: ‘‘Nigerians can see what we have done on Boko Haram and what we are doing to resolve the problem in the Niger Delta. ‘‘Before the elections, we identified three major problems confronting our country. The first is security; we need to sufficiently secure our country to manage it well. ‘‘The second is economy, especially job for the youths and fighting corruption which is continuous. ‘‘For the youths, graduates and non-graduates who are interested in agriculture, the Federal Ministry of Agriculture in collaboration with the CBN are doing something to provide employment for them,’’ the President said. Although he did not state how the Niger Delta militancy would be solved, the fedral government has confirmed having indirect talks with some of the militant groups. Besides, there is a full troops build up in the region following the launch of Operation Crocodile Smile by the military. The blowing up of oil installations and pipelines in the Niger Delta has reduced the country’s revenue by about 60 per cent, according to Vice President Yemi Osinbajo. Buhari also said those who abuse public trust will face justice in addition to returning their stolen assets to the nation’s coffers. He thanked Nigerians for supporting the Federal Government’s policies, programmes and actions aimed at improving security, revamping the economy and deepening the fight against corruption. He expressed joy that the harvest this year would be good. ‘‘We should thank God this year, the reports I’m getting, which is very pleasing, is that we will have a bumper harvest this year. The President said: ‘‘I want Nigerians to realise that what this government inherited after 16 years of the PDP government was no savings, no infrastructure, no power, no rail, no road and no security,” and assured Nigerians that better days lie ahead.